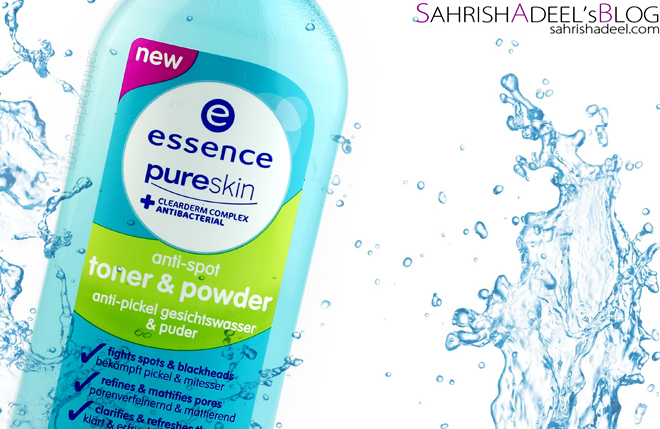 Pure Skin Toner & Powder by Essence - Review | Sahrish Adeel - Malaysia based Pakistani Beauty & Lifestyle Blogger! A toner should be good enough to balance out the skin instead of drying it out. Let's see how I found this affordable toner by Essence. Essence's Toner comes in a plastic bottle. This toner is a mixture of liquid and power and contains 200ml of product. It has a stopper with a small opening that is wide enough to bring out the decent quantity on my cotton pad. Toning my skin is the second last yet really essential step of my skin care routine. Even if I am just cleansing my skin or removing makeup, I always tone my skin using either a toner or rose water. It doesn't just remove any residue that might have left after cleansing but it greatly balances my skin which is the main purpose of a toner. The packaging is user friendly too. The cap seals the bottle making it leak-free even when I travel with it. 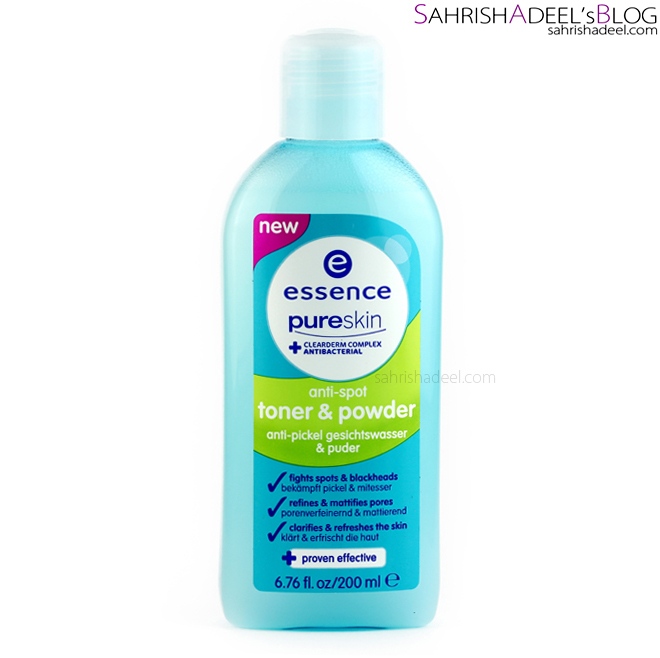 Essence's toner does not itch or irritate skin at all. It has a nice fragrance and dries out quickly too. This special formula has a mixture of powder and liquid; the powder works to adsorb excessive oil from skin. Good think is that it actually works. I wash my face every night before I go to bed and then I use a night cream but I always (night cream or not) wake up with oily T-zone. I have noticed that if I have used this toner the night before, I wake up with less oil on my T-zone. It claims to reduce spots & blackheads; so far, I cannot see any results. Also, my pores are still the same and I am using it for about six weeks on an average of 2-3 times a week. It also claims to clarify and refine the skin and I would say it works as I have felt improvement in my skin. Also, it does not dry out the skin after it is dried out but I still use a cream as a last step. It is not just my favorite but my sister bought one too even before I started using it. She has a really messed up acne issue and Essence's Pure Skin range has helped her a lot. She is using this toner and Essence's Anti Spot Gel which has helped her greatly with her blackheads. I have also been using it in my studio for makeup jobs on clients; works great to balance the skin but it does not keep the skin matte even for people with dry skin types. I was afraid that it might dry out dry skin types but it didn't. Loved this feature. Overall, I am really liking this toner and it is really budget friendly too but the claim of keeping the skin matte for longer hours did not work for me. 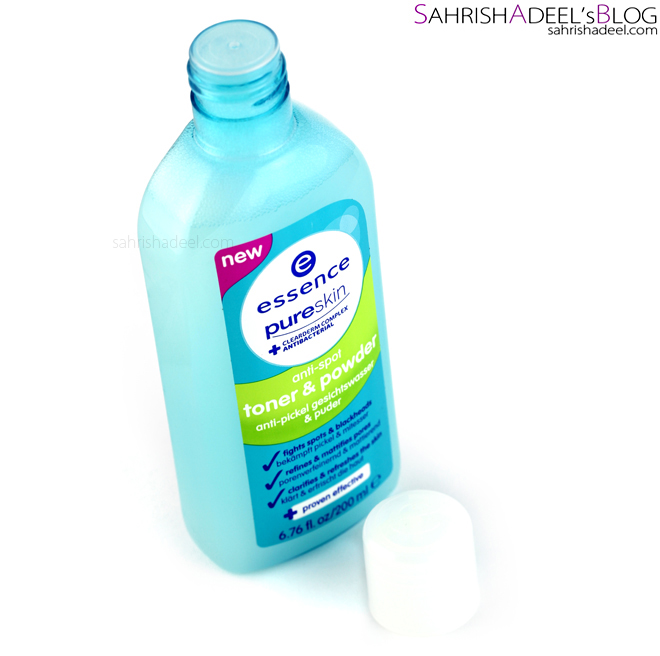 Essence's Toner costs pkr 490 and is available on all major stores in Pakistan where you can find Essence. I have not spotted in Malaysia yet since we don't have same range of Essence as they have in Pakistan. You can check out Essence Pakistan Facebook fan page for more details. 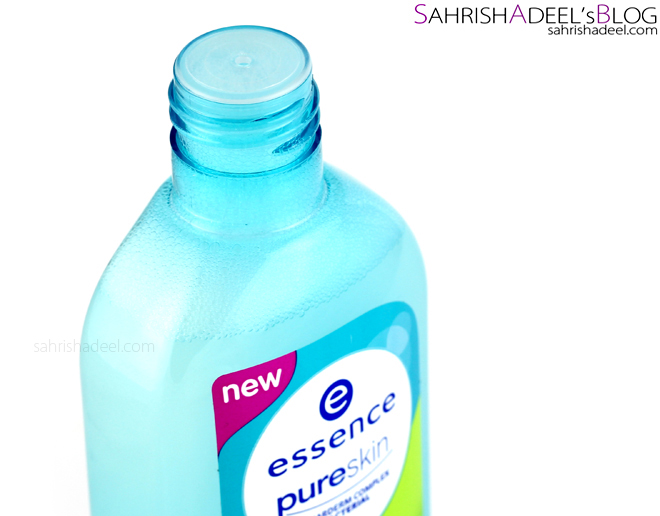 Have you tried Essence's Pure Skin range yet? More reviews on Essence's products.